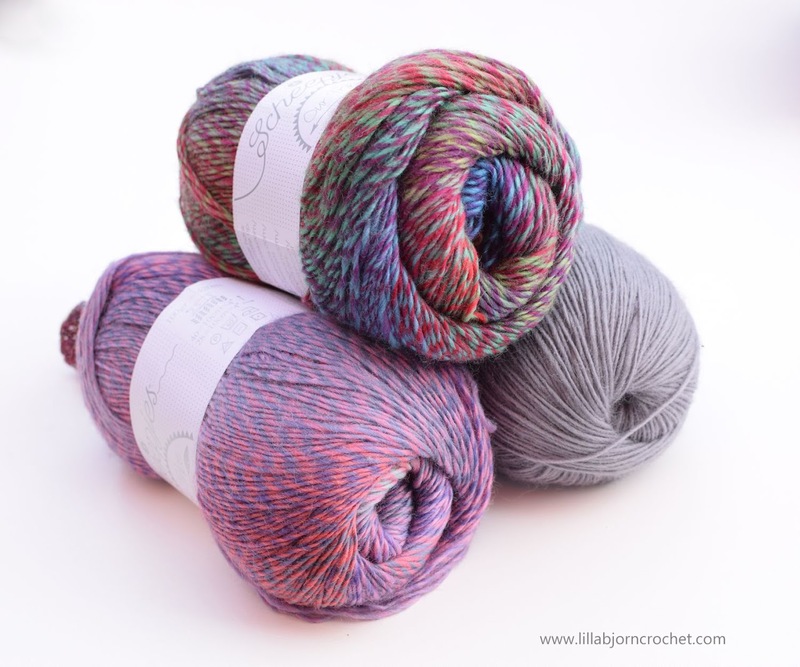 Have you heard of Our Tribe yarn by Scheepjes? It’s a very special yarn, in many ways. I should admit it’s one of my favourite at the moment. And not because it’s very soft, and warm, and “squishy”. But also because each and every colorway was put together by a Scheepjes blogger. This week new colors arrived, and we have 32 (!) in Our Tribe family already. Disclosure: this post contains affiliate links (marked with *). If you make a purchase through these links I might be compensated with a tiny amount while you will not pay anything extra. Thank you for your support! I blogged about Our Tribe yarn earlier this year (read review HERE), and since then several solid colors were added to the collection. 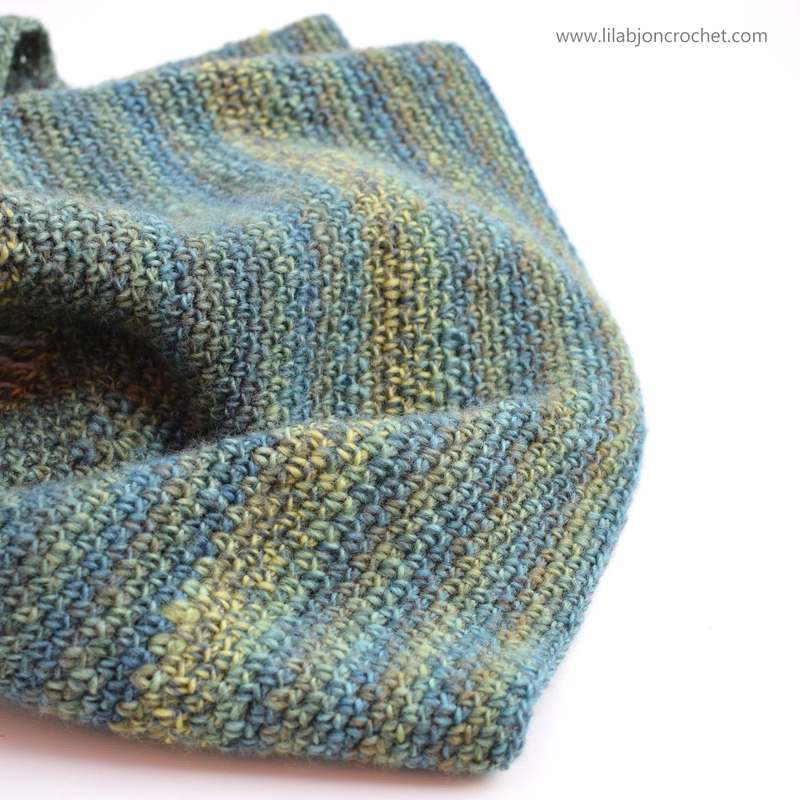 And I was honored to develop one more colourway which is called Lilla 2. This time I chose purples with a tiny touch of teal and it turned out lovely, I think. Dusty, not too bright, and the changes of individual colors are very smooth. I’ve got a chance to see several new samples in person, and I put my hands on them immediately. 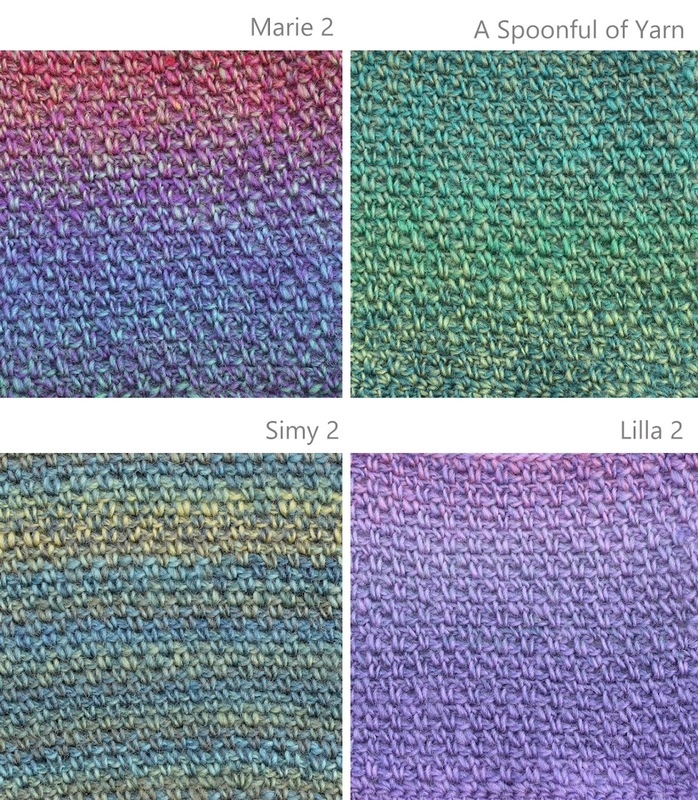 You can see all knitting swatches on official Scheepjes website HERE. And I thought I would also try them in crochet with linen stitch. And here is what I’ve got. I fell in love with a mysterious “forest” color Simy2 at once, and something new is being cooked in my crochet kitchen at the moment. I can’t share much with you but here is a small sneak peek. As you can see fabric with linen stitch is very soft and draping. Marie2 is my next favourite. Though the skein looks very bright, the colors in the swatch are calming down and create a wonderful play of different shades. 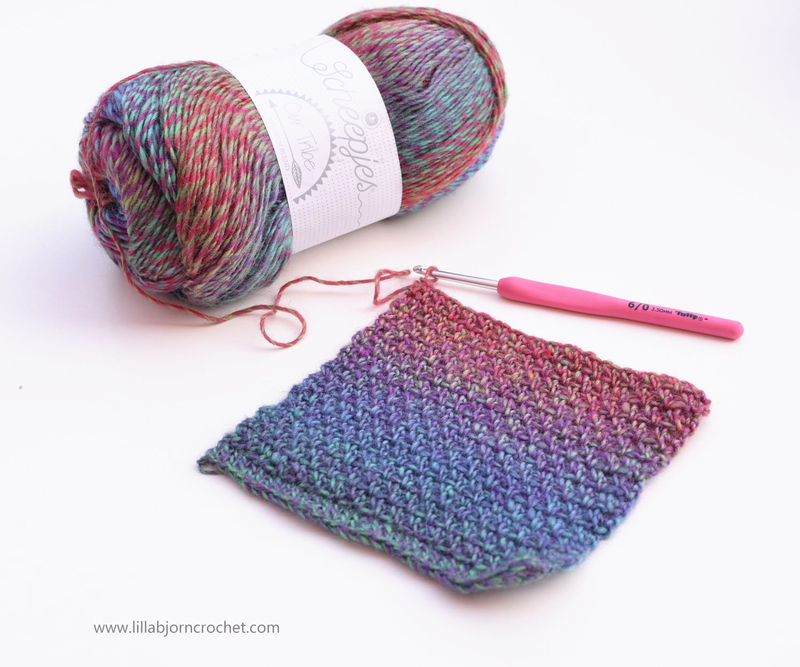 Small swatches can give a nice idea of how yarn looks in crochet or knitted fabric. But finished projects are even better examples. 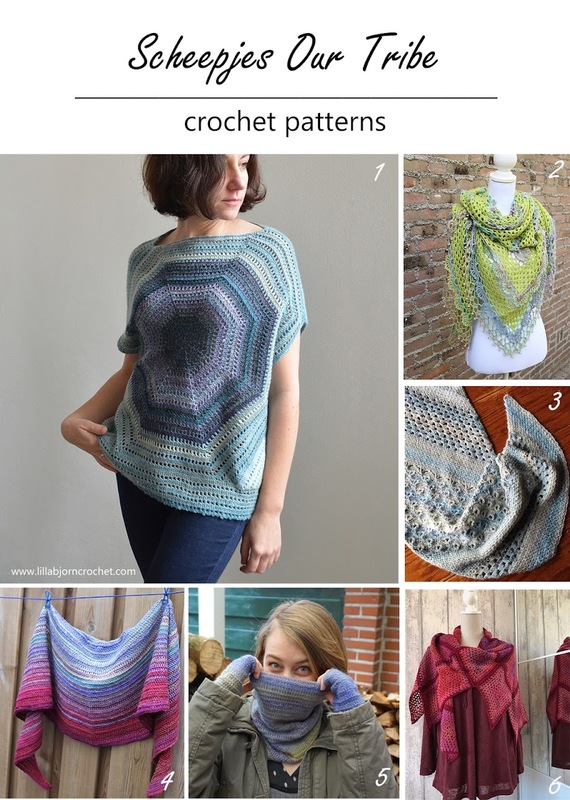 I’ve put together a small round-up of patterns using Our Tribe by Scheepjes. 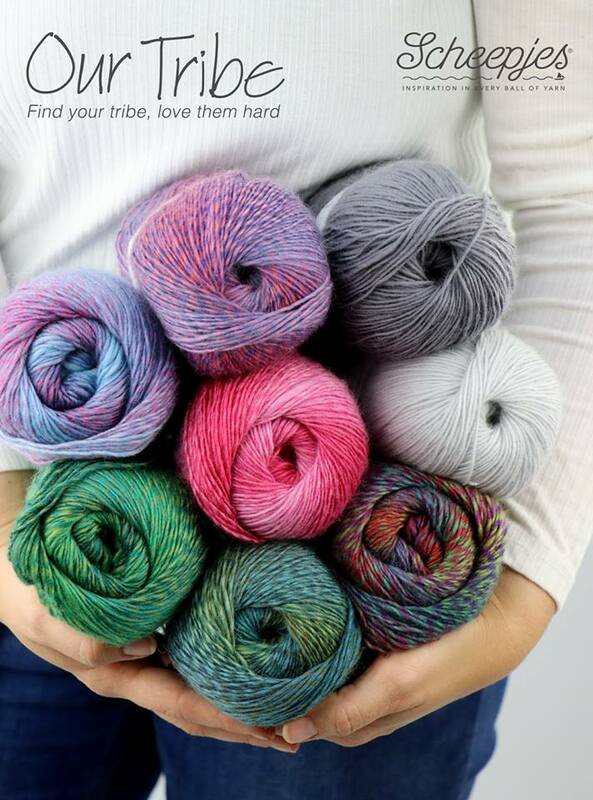 Have you tried Our Tribe yarn? Which shade is your favourite? I wonder if you could also include in your retailers list another Scheepjes shop that's close to Vancouver, BC, Canada. A place I recently discovered. Mady, the owner, is a wonderful and talented person. Her store is full of gorgeously displayed Scheepjes yarns! 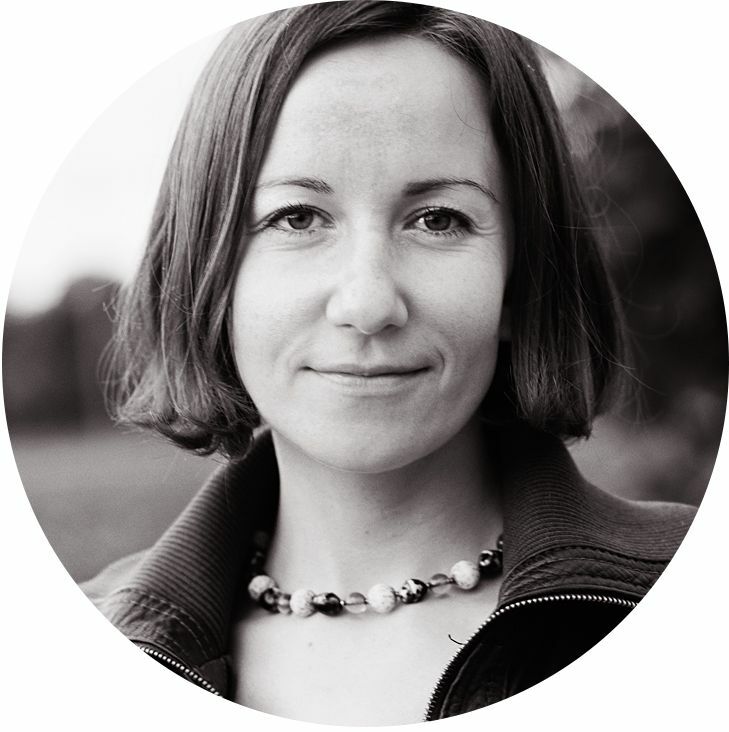 She also has on display a few of your designs, of course completed by her in Scheepjes yarns. I haven't used this yarn yet. Thanks for letting me know about it. Love your patterns.